The Wild Flower Meadow at High Beeches is looking beautiful. A carpet of Leucanthemum vulgare (Oxeye Daisy) Ranunculus repens (Creeping Buttercup), Rhinanthus minor agg. (Yellow Rattle), Dactylorhiza fuchsii (Common Spotted-orchid), Veronica chamaedrys (Germander Speedwell) and Listera ovata (Common Twayblade to name a few. 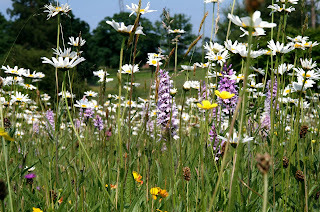 The Wildflower Meadow is one of the best in the South East of England. It is completely natural, has not been ploughed in living memory and has had nothing added to it. It is a very rare example of a hay meadow, which many people are attempting to recreate. 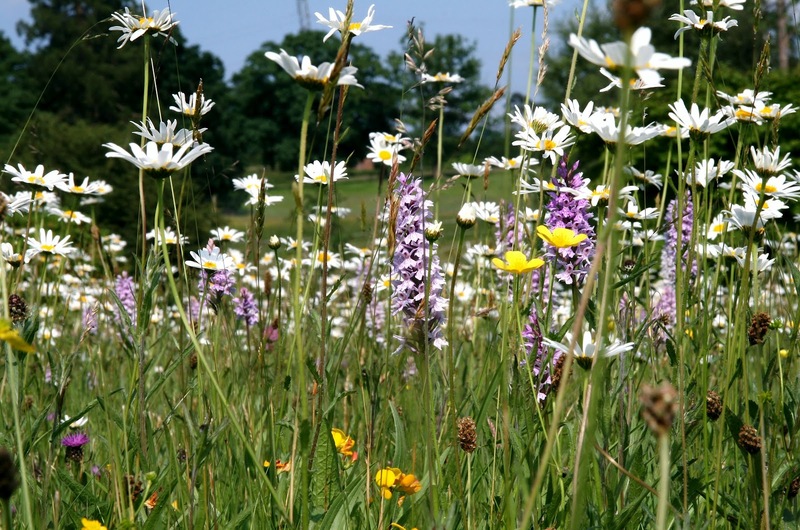 On Sunday 17th June a botanist from Plantlife will be at High Beeches to take guided walks.